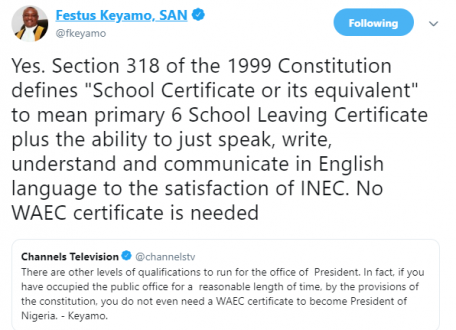 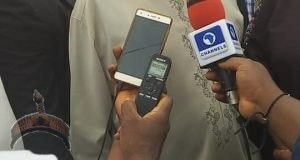 Lawyer and spokesperson of the 2019 Buhari campaign organization, Festus Keyamo, was a guest on Channels TV yesterday evening where the matter of President Buhari’s WAEC certificate was discussed. 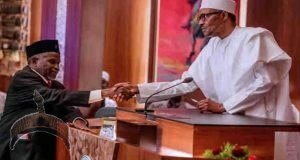 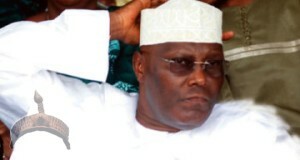 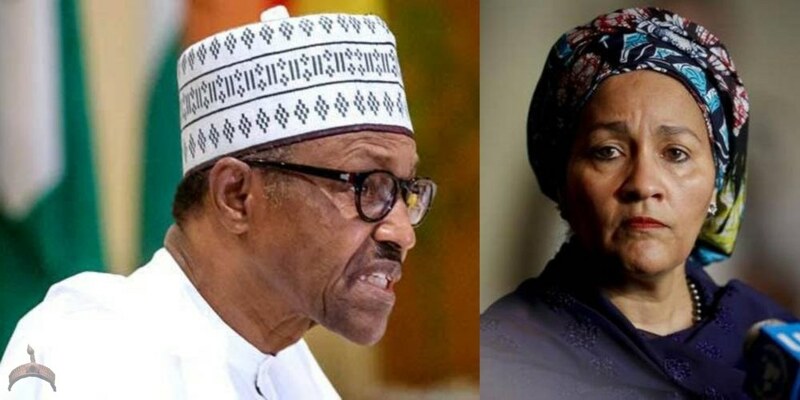 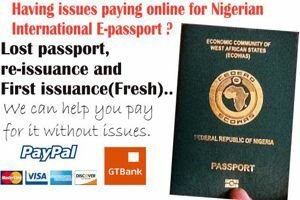 The key opposition party, PDP and other political parties, have contested President Buhari’s eligibility to function as President on the grounds he hasn’t tendered his WAEC brings about INEC. 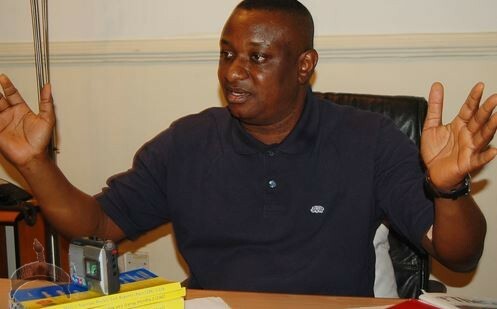 In his interview, Keyamo says a WAEC certificate is not just a prerequisite to becoming the President of Nigeria. 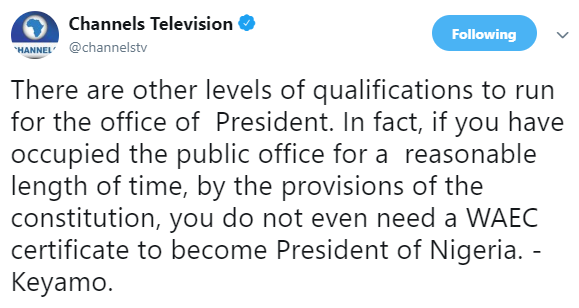 According to him, when you have occupied public office for a fair amount of time, by the provisions of the constitution, you don’t even desire a WAEC certificate to become President of Nigeria. 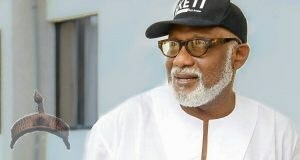 See excerpts from his interview below.